This tour offers a perfect pairing: a sightseeing airplane tour and a day of rafting on the Colorado River. On your flight to Page, Arizona, you'll see aerial sights of the Grand Canyon East, the Colorado River - including the famous curve called Horseshoe Bend - and the majestic expanse of Lake Powell. Upon landing in Page, you will be transported to the world-famous Antelope Canyon for a guided tour of its mystical depths. This desert landmark has been a photographer favorite for decades. 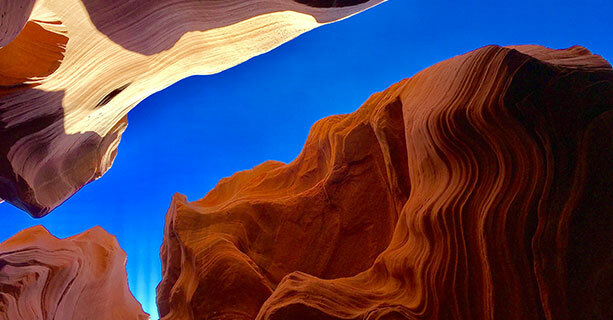 Your guide will show you the most photogenic areas and help you recreate famous snapshots taken here while sharing the history of the slot canyon and Navajo lands. Your adventure continues aboard a motorized raft, travelling up a 15.5-mile stretch of the Colorado River. Watch the magnificent canyon walls pass you by and feel the light spray of the Colorado River. During the trip, your raft will dock and passengers can enjoy a short hike to find ancient Native American petroglyphs. Your guide can translate these petroglyphs and offer some history about the canyon's ancient people. The raft tour continues through the world-famous Horseshoe Bend. You will come to an end at Lee's Ferry where ground transportation will be awaiting for your return trip. After a day of sightseeing, you'll enjoy a relaxing journey through Navajo lands with a stop at the historic Cameron's Trading Post en route to Grand Canyon South. All guests must be at least 4 years old to enjoy this experience. Operation dates are March 1st through October 31st. Not sure what to wear? Layered clothing is recommended during the colder months: March, April and October. Light colored clothing should be worn during the warmer months: May through September. We also recommend bringing a hat, sunglasses, and a towel. Wear shoes most fitting to the season. The recommended shoe types are sneakers, waters shoes, or flip-flops. The ground at Glen Canyon is rough, rocky and uneven. Upon arrival, check-in at our private air tour terminal at the Grand Canyon National Park Airport. A continental breakfast will be provided after check-in. See amazing views of the Grand Canyon's Eastern Rim, the Colorado River, Lake Powell, and Horseshoe Bend en route to Page, Arizona. 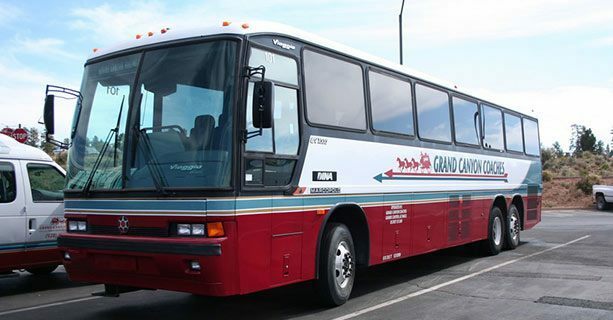 Arrive at Page airport and board a 4-wheel drive vehicle for transfers to Antelope Canyon. Your very knowledgeable guide will share its history this mystical slot canyon while assisting you in taking picture-perfect photos. Arrive at Wilderness River Adventures to check in for the rafting tour. Travel down a 2-mile tunnel through the canyon walls to the base of Glen Canyon Dam where the boat launches. 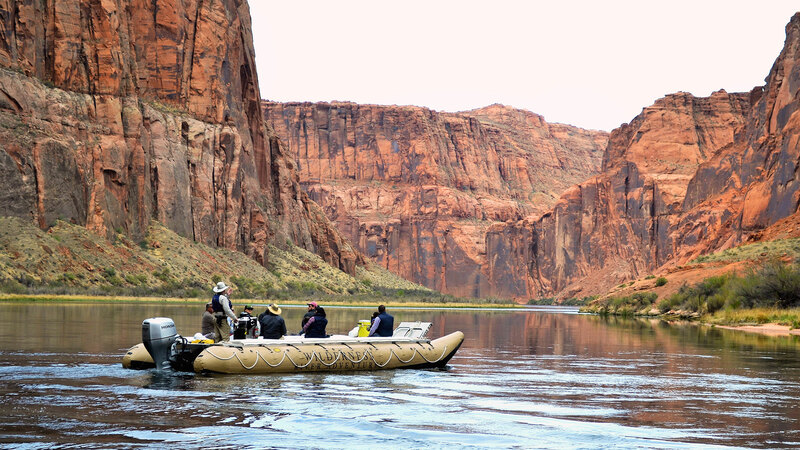 Depart on a 15.5-mile guided raft tour on the Colorado River. Stop along the river bank to see ancient petroglyphs left by ancient dwellers. 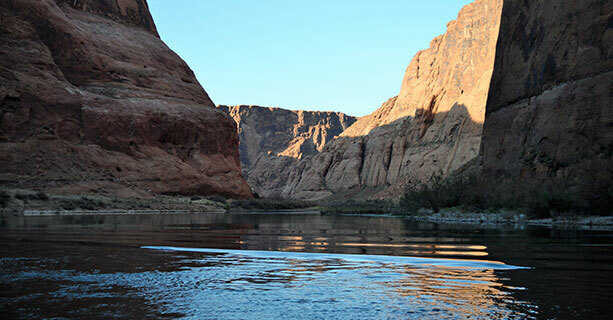 Enjoy the scenery as you continue on your river tour through Glen Canyon. Be sure to capture photos of the amazing Horseshoe Bend! Your rafting tour will end at Lee's Ferry where ground transportation awaits for a return trip to the Grand Canyon National Park area. Travel through the Navajo Indian Reservation with a brief stop at the historic Cameron Trading Post (drive time is approximately 3.5 hours).